After many months of really no updates and continually looking at photos of the prototype – recent photos of the Gladiator Hulk (from Hot Toys) have begun surfacing. Overall the figure looks mostly the same as the prototype…at least in general. The biggest change seems to be the head and helmet. The Hulk’s face is much closer to the movie. The hairstyle has a tighter cut. The helmet seems to have more detail (battle damage) and the mohawk is thinner. All good improvements in my opinion. The only other noticeable change (and this I don’t like) is the body paint being silver instead of white.The silver is an interesting choice…but it doesn’t show up well. The original white paint has better contrast with his green skin. Overall I’m happy with these recent updates to the figure. I have mine pre-ordered and been waiting for it to be released. But they keep pushing back the release date. Hopefully it shows up in the next month or so. I might even do a video review for that one. Yet again Al Ewing and Joe Bennet deliver with an awesome Hulk installment. We find ourselves following Bruce Banner as he investigates a series of deaths all seemingly connected. Meanwhile the Hulk lurks in the back of his mind, waiting for night (or death) to come. What I truly love so far is that this story, much like the last, is truly its own self contained story. No guest characters, no references to other story lines, no fluff. Just a simple (hard hitting) story of a man, a monster…and a Hulk. So far each issue has read like a mini-novella horror mystery series. The art by Joe Bennet continues to be amazing and really drive home the emotion of all the characters. Alex Ross also offers another sweet piece of cover art for this issue. Reminds me of those pulpy horror story covers on older books and magazines. This is a very different Hulk story then in previous years. This is not a superhero story…this even ain’t quite an anti-hero story. Its a tale of a monster bringing justice on other monsters. What’s also interesting about this series so far is you never actually quite see the Hulk “SMASH” anything. You always see the lead up to it and the aftermath. But never the event itself. We have seen the Hulk destroy stuff plenty in the past. What’s new here is his motivations for smashing are the focus. Why he does it is what’s interesting. There’s no need here to see someone punched into oblivion. What’s important is to know why…and to see the results of a vengeful Hulk. Brilliant work. Can’t wait for next month! The Hulk is back…and he will find you. On June 6th the first issue of Immortal Hulk hit shelves and boy has it sold fast. As of today all first printings are sold out and second printings will be arriving in July. 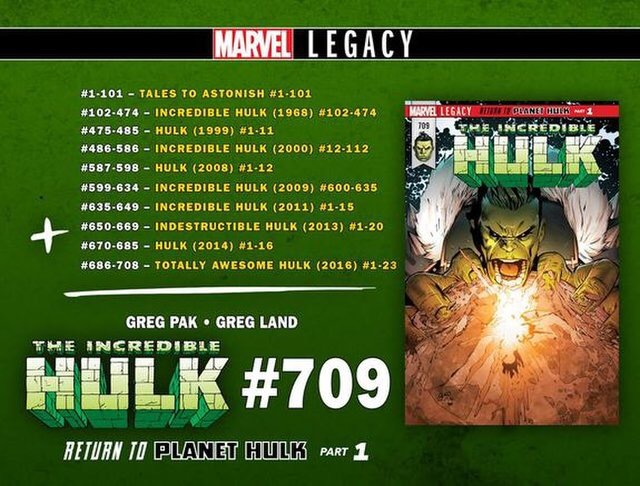 I am honestly not surprised as this is probably the best Hulk comic, let alone comic, I have read in quite some time. Now it could be I’m biased and just having the original Hulk back is swaying my opinion. But honestly the writing and art direction came together perfectly to reintroduce this well-known character in a way we have not seen in quite some time…if at all. The story is simple, but packs quite a punch. It holds nothing back as it establishes this is not a typical superhero story. The art captures the emotion of all the scenes and especially brings a chill down your spine once green skin (and eyes) begin showing in each panel. Bruce Banner plays a very small part in this issue, but his actions establish the “rules” and expectations of what we can see with Hulk and Bruce going forward. The Hulk really is front and center. Quite literally too. His words and actions really show you he means business. He is a combination of Liam Neeson from Taken, The Hulk, and a dash of Ghost Rider. He will find you…and he will Kill you. Well maybe not kill you. I respect that the writers still maintained that Hulk is not a killer. But he will smash you and make you wish you were dead. And I am not kidding about the Ghost Rider part. Hulk almost has a judge and jury vibe about him. Like he can see (or smell) your soul and make judgements on you prior to letting out the SMASH. Which honestly is very chilling. You are a bad guy doing your evil deeds and with no warning a green rage monster slams into your house. Knows your deeds. Makes you face them, leading to crushing your soul. And then beats you to within an inch of your life. The Hulk is no longer just reacting to people attacking him. He is now actively searching out people who have wronged him or others. I don’t know about you…but that’s terrifying. The Hulk is not trying to only hide or protect someone…he is now on the hunt. This comic is an extremely promising start to a new era of the Hulk. I hope it maintains this appeal for the full run and explores some interesting ideas. If you loved the old Hulk, hate the Totally Awesome Hulk, or enjoy a good horror comic…then this is for you. Welcome back mean green. We missed you. Lately I’ve been hooked on Kickstarter. Backing the coolest and unique projects. Well I just discovered a project that resonates with me as a Hulk fan. I invite you to check out, Demofist. A new project being currently funded on Kickstarter. The item in question is a solid steel fist that can be held with one hand and used for demolition purposes. The interior is foam covered with a cushioned bar. Is it practical? Perhaps not. But does it look fun to use? It does indeed. I felt it was worthy to fund at early bird pricing. If you want this I suggest you hurry over and grab it soon. As a Hulk fan I cannot wait to SMASH things with this!